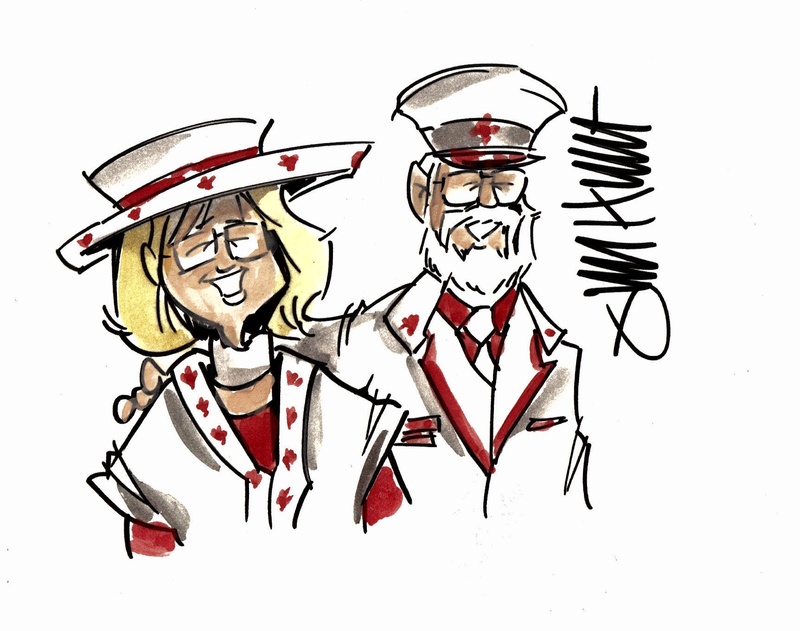 Welcome to the world of Captain & Mrs. Canada, a website where two of Canada’s proudest ambassadors and avid arch-patriots live and breathe their pride in having been born in what they proudly proclaim as being the greatest nation on earth: Canada, our home and native land! Captain Canada (Jack Hetherington) and Mrs. Canada (Christine Harper) live on the west coast in their home called The Lookout and it is through this website they invite all Canadians to share their pride in this glorious land – from sea, to sea, to sea. 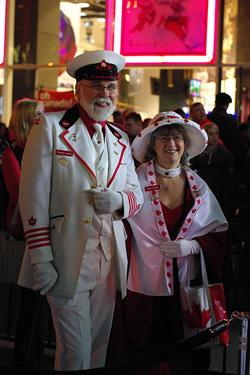 Never abashed to show their loyal patriotism they troupe the Canadian colours wherever people gather. 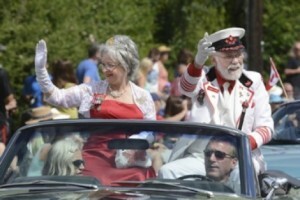 Parades, community gatherings, civic events, wherever people get together. Their mission in life is to show the flag, to show their pride in their beloved nation and to bring some colour, panache, and joy to others. Their mission in life is to be a living embodiment of Canadian patriotism. Travels have taken them across Canada and across the ocean, even putting in appearances at Canada House in London, at Buckingham Palace and in Trafalgar Square. During the 2010 Winter Olympics in Vancouver, B.C. 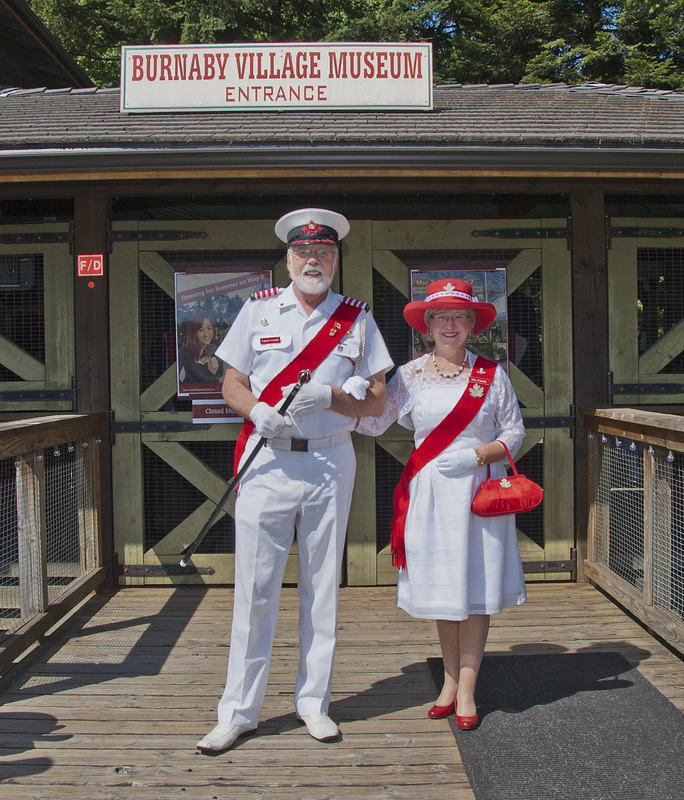 Mrs. Canada was even thought, on occasion by smiling tourists, to have been the Queen. 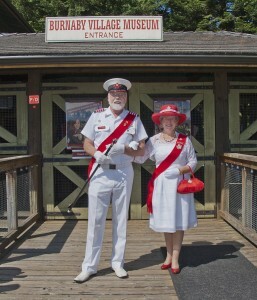 Captain & Mrs. Canada want to share their pride in this great Nation of Canada. This is an interactive website and not only are all Canadians invited to share their joys and experiences and what it means to them to be Canadian, but also comments as well from all the wonderful people they have met from around the world. On which side of your clothing should the Poppy be worn?